"Dr. Kim is awesome. And hygienist Amanda is an absolute angel. I have terrible dentist anxiety, so I've avoided going forever. But Amanda was super nice and chill, explained every step and made me feel at ease. I have a few cavities, and Dr Kim outlined an easy to follow and affordable treatment ..."
"Great place and really cares about the patient. Bobbie is great!" "This has quickly become my all-time favorite dental practice. After moving to the Naperville area, I was on a quest to find a great local dentist, and Lincolnway Dental Center hasn't disappointed me. 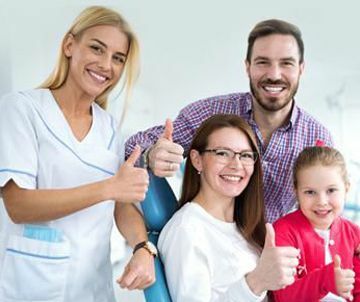 In fact, this staff goes out of their way to make all patients feel welcome and like family!They..."
"I haven't kept up with my teeth, as a result any visit requires a lot of novacane. But, as embarrassed as I am to visit, Dr Kim and her team treat me like anyone else. No judgement, just what can they do moving forward.Always kind, professional and caring. You feel that from everyone there. T..."
"This dental clinic is as good as it gets! All the workers here are professional, friendly, and gets the job well done. Dr. Kim is amazing and all the assistants, esp. Leti, make sure that you are comfortable and get the best experience." "Extremely professional office environment. Quality service and care. The Lincolnway dental team treats everyone like family, and provides me with the necessary information to maintain my smile. Treatments I have received include: cleanings, professional whitening, root canal, braces, Invisalign. ..."
"I travel from Iowa to Illinois to see Dr. Kim for many reasons. First, you can expect quality and thorough service at her practice. I am currently completing an invisalign treatment, and Dr. Kim has provided me with all the information that I need about what I will undergo. She is open to sharing..."
"I cant tell you enough of how kind and sweet Dr Kim is. She really listens and gives great advice on your teeth, heath and looks far down the line on what you need to do in the future.The office is clean, comfortable and nice for was usually is not a pleasant thing to do two times a year. Her ent..."
"Dr. Kim is one of the most caring dentist I have ever known!She treats her patients like her own family.In addition, I have no idea what the other lady's review about Dr. Kim overcharging for work done on cavities Dr. Kim would never try to cheat a patient out; some dentists will, but I guarantee..."
"I'm the type of person who is always hesitant to go to the dentist, but I can fully recommend my experience with Dr. Kim. All of my worries of pain during dental procedures were alleviated once she started working on my teeth problems. And I had a lot of teeth problems! I came to her when I ne..."
"BEST DENTAL EXPERIENCE EVER! Dr. Kim, the front desk staff and all the hygienists and assistants are wonderful! Everyone is so great at explaining what's happening and what's going on during your visit, it really puts you at ease especially since sometimes their dental lingo is really confusing. ..."
"Dr Kim and her crew are the best they always make feel at home and comfortable . And they have great coffee"
"Amazing office. Very classy. The staff is super friendly, and Dr Kim is a superb dentist , very passionate about her job, and takes her time with the patient. She uses top of the art technology and does all kind of dental procedures. I strongly recommend this central office." "Great staff, always clean. Everyone is polite and professional. Dr. Kim is a wonderful Dentist. Her practice takes care of our entire family." "Very professional, friendly, and skilled. My first visit and had great experience!" "I love them, it’s like my own dental family! Thank you for making me feel so welcomed and taken care of Dr.Kim, Bobbi and Lety.. and staff!" "Fantastic. Happiest dentist office I’ve ever been to." "Once again, I can't begin to say how fortunate I am to have found Dr Kim and her team. At nearly 60 years of age, my smile and dental/oral health is better than it has been in DECADES due in large part to the OUTSTANDING treatment and care I receive at Lincolnway Dental"
"I just LOVE Bobbi and Dr.Kim!!!! What an amazing team they have here. You will always be greeted with a smile when you walk in, and never have to wait long for your appointment. If your a new customer I definitely reccomend an appointment with Bobbi a dental hygienist if you need a cleaning/check..."
"I was terrified but there was absolutely no pain! Bobbi the hygienist is kind, reassuring, gentle, and completely knowledgeable. She takes the time to explain everything and makes sure you understand what is about to happen and talks you through each step in the process. I HIGHLY RECOMMEND this ..."
"Dr. Kim and her staff are the best, hands down. I recently moved to IL from NC a few months ago and needed to find a new dentist, and I decided to go to Lincolnway. From the very start, Dr. Kim was genuinely interested in getting to know me, and since then has made me feel like family. She is ver..."
"Dr. Kim and her staff are amazing. I’ve been going to Lincolnway for many years, and love that the whole team remember personal things about myself and about my family. Dr. Kim’s patient care is so great, and she’s always so professional. My husband and I will be moving about 45 minutes away in t..."
"Awesome! Dr. Kim is always helpful with my many questions and mindful of my concerns. Love her and her staff!" "Was lucky to find Dr. Kim and her office. I have numerous dental issues that were put off for years due to time, money and the fear of pain. Dr. Kim and her office worked with me to tackle my problems in sections. They are very proactive about making you as comfortable as possible. Great communic..."
"Dr. Kim and her staff are outstanding! Our large family have been patients at Lincolnway for over 10 years, through braces, fillings, crowns, cleaning and even Invisalign. Dr. Kim truly cares about her patients and we couldn't be more enthusiastic recommending Lincolnway Dental." "Dr. Kim is the best." "Dr. Kim and her staff are wonderful! They are so personable and always listen to their patients' concerns. They always provide top quality care; I wouldn't go anywhere else!" "Dr. Young Kim and staff understand my pageantry involvement and how important my smile is to me. They make sure I always have the best plan of action to have that perfect smile. They give that personal touch that makes them feel like family. I very much appreciate how they take care of me! If yo..."
"Dr. Kim is amazing and does excellent work! I've been getting invisalign treatments from Dr. Kim for the past year. The results have been great, and I would recommend her to anyone. The staff is also very friendly!" "No where else could I possibly get the type of care I receive from Lincolway Dental Center in Aurora. I travel over an hour to this Dental Center because I am well taken care of by an incredible team led by a top dentist. Dr Kim has 20+ years of experience, she practices dentistry with a passion ..."
"This dental clinic is as good as it gets! All the workers here are professional, friendly, care about your welfare, and gets the job done effectively. Dr. Kim is amazing and all the assistants, esp. Leti, make sure that you are comfortable and get the best experience"
"Fantastic office- very comfortable atmosphere! All of the staff are welcoming, friendly, and very knowledgeable. Dr. Kim is very sweet and great at what she does!" "I truly don't believe the experience could have been better. Everyone was very polite, very professional, very caring. I felt like I was in good hands. The whole family will go to Lincolnway." "THE BEST DENTAL CLINIC!! Dr. Kim gives a pain-free care for your teeth. You would wish "why haven't I found this dental clinic earlier?" Dr.Kim also has a soothing voice that relieves any tensions you mat have. You won't regret that you came! I live in Milwaukee, WI, but I come all the way to Li..."
"I have known Dr. Kim and her staffs (Kathy, Karen K, Karen M, Amanda, Trisha, Lety, Katrina) for about 5 years. It goes back to my old days when I decided to shadow her before starting the dental school. She, kindly, allowed me to see her dental works upon patient's agreement and taught me how to..."
"This is definitely the best dentist I have ever been to. The staff was super friendly and professional! They listened to my concerns about my tooth sensitivity and anxiety about the fillings I needed, and made the experience as pain free and pleasant as they could. If you are apprehensive about g..."
"Wonderful services and a great staff! Thank you for your generous donations to Greater City! Your services are greatly appreciated." "LDC provides top quality dental care with friendly service. They treat you like family. They are also dedicated to community service." 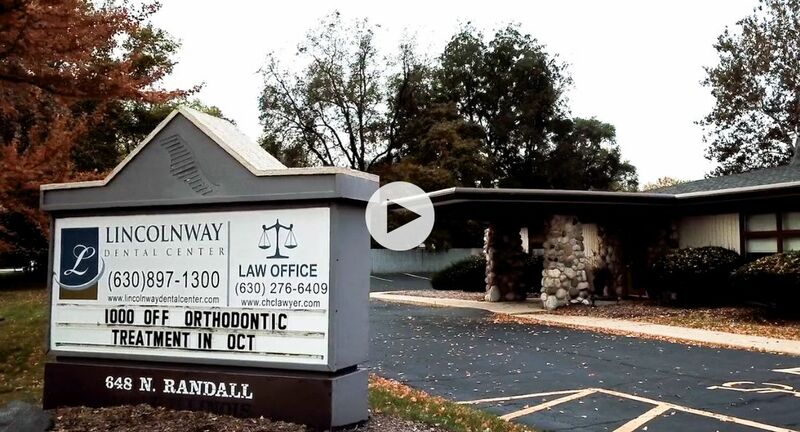 "Lincolnway Dental Center in Aurora is a great dental office. I found them on Yelp search and from the first visit was impressed with their excellent contact, cutting edge technology, and professionalism. Dr Kim did my Invisalign and I'm happy with my new smile. She is a great person who went abov..."
"Dr. Kim's team does great work. We've had her for our family dentist for about eight years and are very happy with them. Very professional, knowlegable and courteous." "For 4 years now I have been going to Lincolnway Dental Center and I feel very comfortable there. They really go out of their way in doing so. Going to the dentist isn't the most calming thing to do but I feel very comfortable here." "Friendly, personable, and professional staff. They get me in and out on my lunch hour for cleanings while still doing a thorough job."